Why would I need self storage in Sanford, FL? There are a variety of reasons why you might need self-storage in Sanford, FL. How much is a storage unit in Sanford, FL? The cheapest storage unit in Sanford, FL is $47.00 per month. What size storage units do you have available in Sanford, FL? In Sanford, FL we have sizes that range from 5'x5' to 10'x30' to suit your storage needs. How much is it for a 5'x5' storage unit in Sanford, FL? The cheapest 5'x5' storage unit in Sanford, FL is $47.00 per month. 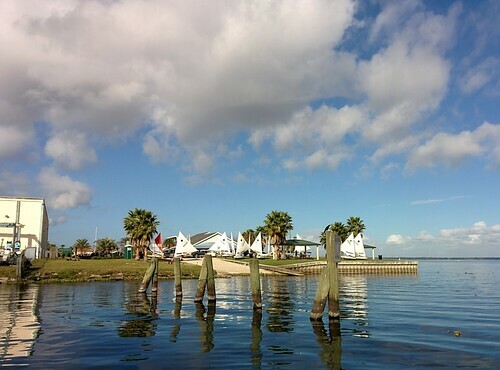 Sanford is a mid-size city located in Central Florida, and is known as the "Historic Waterfront Gateway City" because of its historically important location on the southern shore of Lake Monroe. With a bustling downtown district, lakefront walking trails and a marina, Sanford is becoming an increasingly popular destination for tourists. The history of Sanford traces back to the early 1700s. The Seminole Native American tribe had existed in this area for many years until the U.S. Army created a post in the area in the early 1800s. The Army called it Fort Mellon after Captain Charles Mellon, but it eventually earned the permanent name of Sanford when the local steamboat service created a viable economy. After its incorporation in 1877, Sanford became a profitable hub for vegetable exporting thanks to its beach-side location. The city's official founder, Henry Shelton Sanford, called Sanford "the Gate City of South Florida," a title that Sanford lived up to as it grew. Throughout the 1800s, the citrus fruit industry served as the primary source of revenue for Sanford. Most of the area businesses flourished thanks to the fruit workers who spent money in town. Then, in 1895, freezing temperatures destroyed much of the citrus crops, and only a few people stayed to weather the storm. They established an irrigation system that paved the way for a new business: vegetable farming and shipping. From then on, Sanford became known as "Celery City." Today, it serves as the county seat of Seminole County and has become a vibrant city that supports numerous industries. Numerous amenities are found throughout Sanford, from public libraries and parks to shopping destinations and eateries. However, you won't have to endure a high cost of living for the sake of convenience. While transportation is a little expensive, other essentials like health care, utilities and housing remain generally affordable. If you're looking for places to enjoy your free time, Sanford's downtown district is home to a number of shops, cafes and local businesses. There is also a city marina with scenic views of Lake Monroe, as well as a lakefront walking trail. You can also visit the Central Florida Zoo and Botanical Gardens, home to hundreds of different animals ranging from native to exotic species. The Seminole County Public School System oversees the operation of Sanford's public schools. Utilities: Florida Power & Light provides electricity to the homes of Sanford, while water and sewer services are facilitated by the city. Garbage and Recycling: Waste Pro USA conducts regular curbside collection of trash, recyclables and yard waste. Transportation: The Lynx transit connects Sanford with several neighboring cities. On average, housing in Sanford is very affordable. The median home price is well below the national average, and also slightly less expensive than the Orlando metropolitan average. Home prices have been increasing steadily, though rent prices tend to rise and fall irregularly. Our lowest priced units in Sanford, FL average $47.00 per month. 77 people have reserved units in Sanford, FL in the past 30 days. There is 1 location within Sanford, FL's city limits. There is 1 location in Sanford, FL that offers AC and Heating features.